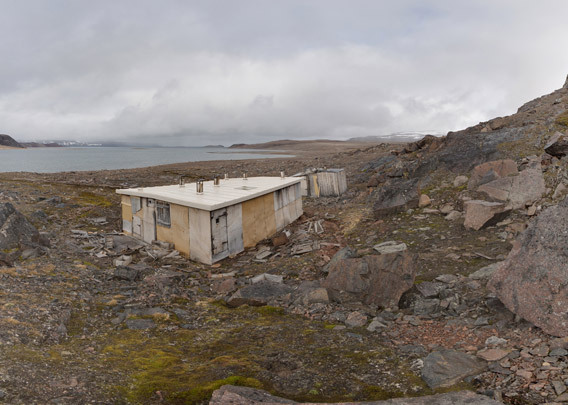 The Haudegen base was the most famous German military weather station in the Arctic during the Second World War. Weather data were important for the military, who established stations in important areas that were not under enemy control as the civilian meteorological network was not functional at that time. 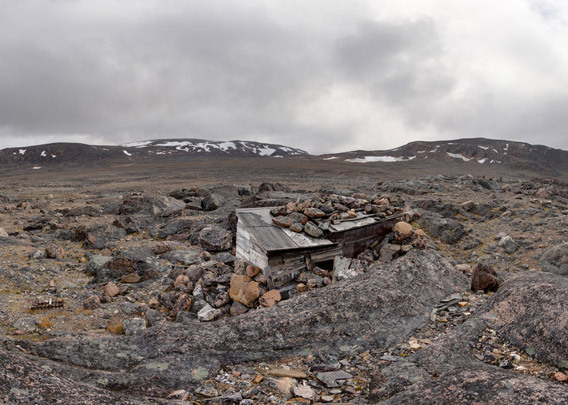 Even in 1944, when everything was lacking in Germany, several stations were prepared for arctic service with great care and equipment that other units could only dream of. The Haudegen crew was taken to Wordiebukta in Rijpfjord by a submarine, assisted by a surface vessel to transport all the equipment and materials. The position was chosen as remote as possible to avoid discovery and attack. The name of the Haudegen-station was derived from the family name of the leader, Wilhelm Dege. Haudegen means something like „warhorse“ in German. 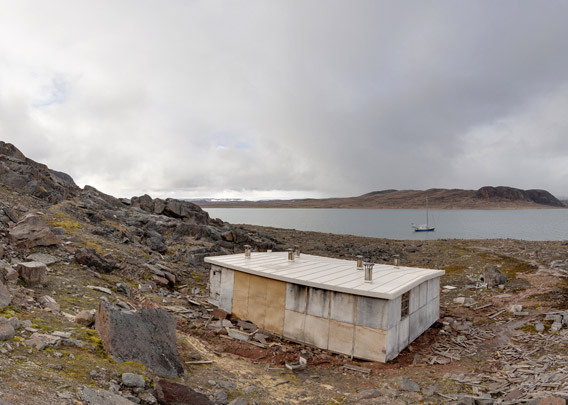 The wintering was peaceful: the only visitors to the station were occasional polar bears. After the end of the war, the Haudegen crew remained in constant contact with the Norwegian authorities, continuing to provide weather data all the time. Rumours that they were forgotten in their remote station are not correct, but Norway had other things on the agenda than picking up some Germans from Nordaustland in the months that followed the collapse of Hitler Germany in May 1945. It was not before 03 September 1945 that a small Norwegian vessel reached Wordiebukta. When Wilhelm Dege surrendered the following day, he did so as the leader of the very last German military unit from the Second World War that was still in its position. The Germans were more than happy to surrender, they had been looking forward to an opportunity to return to their homes and families as soon as possible. Both sides got together to celebrate the opportunity in good arctic style, with plenty of alcohol. 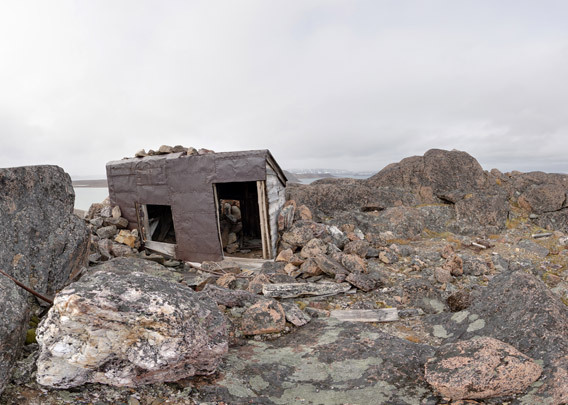 The main building, a „hard paper hut“, has suffered a lot from wind and weather, but it is still standing. It is protected since 2010 and it is not allowed anymore to go too close or even to enter it, something that the rotten floor would not be strong enough for. In 2016, the building got a new roof, which you can see in these panoramas. There was a lookout post on the hill directly behind the station. Well hidden behind the rocks, it provides good views to all directions. View over Wordiebukta and the barren inland in innermost Rijpfjord. Wilhelm Dege was geographer and he felt more like a scientist than like a soldier. He made several long excursions, trying to add to the geographical knowledge of the area, but his possibilities were limited and he could not make significant scientific contributions. Placenames given by him were not acknowledged by the Norwegian mapping authority, as all placenames given by Germans during the war years.